Nothing is better for passing on history to future generations like a book. 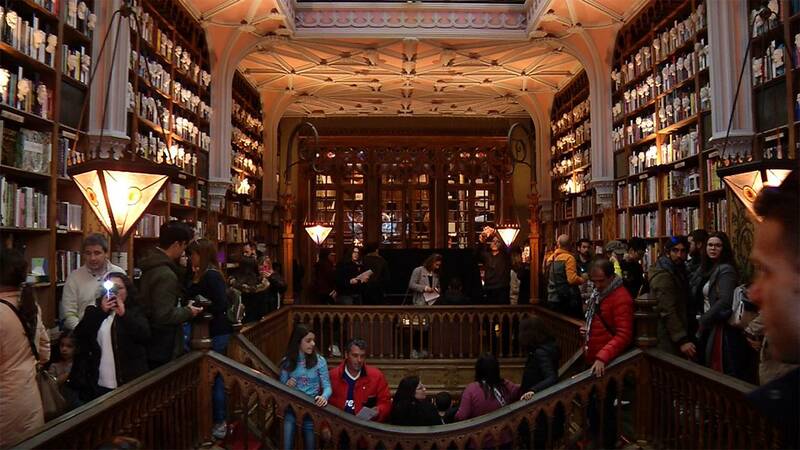 The Lello Bookshop in Porto, Portugal, is bursting with both books and history. Scores of travelers from Europe, Asia and beyond stop off to see what might be one of the most beautiful bookshops in the world. But what is it about Lello that has people captivated? According to legend, Harry Potter was born here, when British author JK Rowling lived and worked in Porto as a teacher in the 1990’s. Famous, for its spiral stairway, the bookshop – which opened in 1906 - welcomes more than 1 million visitors per year, selling around 1,200 books per day. The shop now charges visitors a 5-euro voucher (that can be redeemed against books) to manage the seemingly endless flow of customers. They come from all corners of the world. For its 113th anniversary, the bookstore is offering customers hundreds of thousands of euros to buy some very rare first editions of books. The bookshop has also made a public announcement that it’s looking to buy copies of the first Portuguese newspaper Gazeta da Restauração. It also is offering up 70,000 euros for copies of the first edition of “Harry Potter and the Philosopher’s stone”.